Automated shades offer a host of beneﬁts and complement a whole-house control system. Block the sun and give your home complete privacy with a touch of a button. Programmable shades are ideal for large, hard-to-reach windows, while saving time and energy. From traditional to modern, there are striking shading designs to ﬁt every decor, including sheer and wood blinds; Roman and vertical drapery; as well as roller, honeycomb, and tensioned shades. 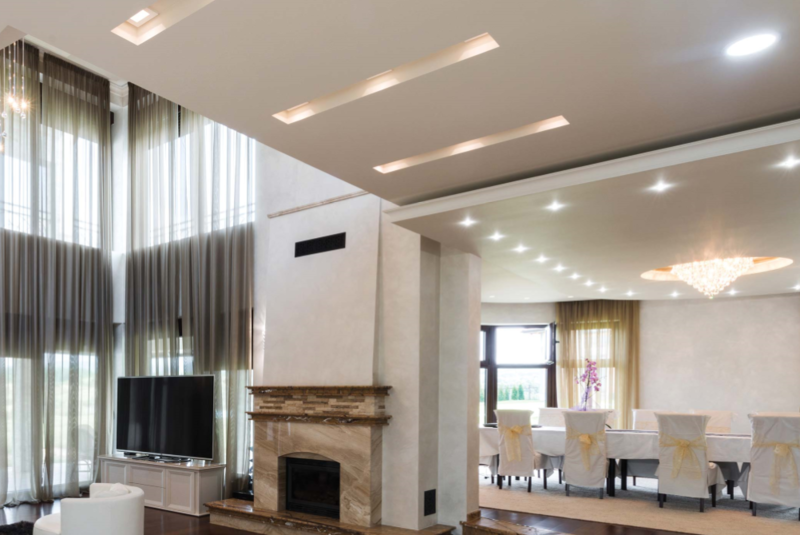 Program lights for one room or the entire house, for efﬁciency and ease. Automatic sensors turn off lights when you exit the house or a room, saving energy and cost. Dimmers always create the perfect ambiance.